We now have a fantastic program for the festival. Thanks to the generosity of the folks at Falls Creek Cross Country, we have telemark clinics and snow shoe tours, which are being offered for free”. A range of people will lead tours or offer skills workshops, like backcountry navigation and snow camping 101. There are sessions on the basics of avalanche safety (and 2 day AST level 1 avalanche courses are available in the week before the festival). There will be demo skis available for hire, an outdoor bar in the afternoon run by Peter Hull of Sweetwater Brewery, and a mini film festival featuring Australian made backcountry films and some great speakers in the evening. There will be presentations from Josh Fletcher, of the newly formed chapter of Protect Our Winters, and Simon Murray from Mountain Sports Collective, the backcountry users group. The theme of the festival is ‘Ski/ ride hard. Do Good’. We’re raising funds for five great causes, including recovery programs for the Mountain Pygmy Possum. We’re aiming to hold a low impact event. We already have 180 registrations, and we know of one person who is planning to walk and snow shoe to the festival from Walhalla (!!). 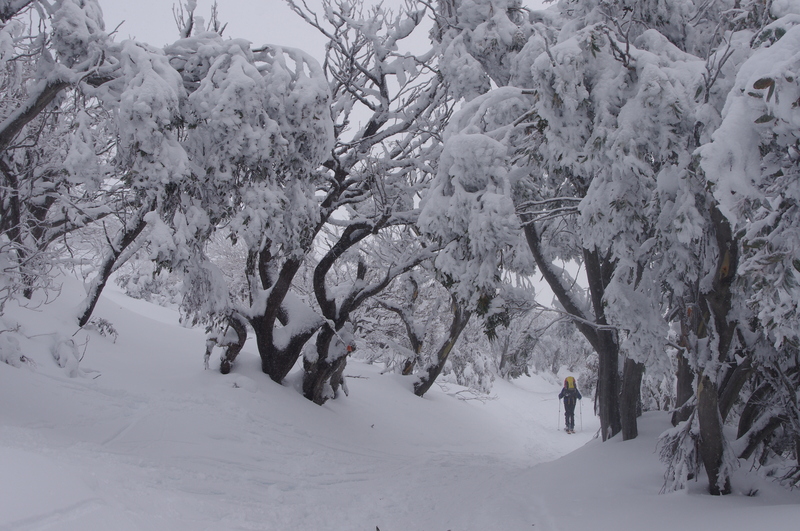 ‘The backcountry community in Australia is diverse and growing rapidly. From old school XC tourers to young riders who are leaving the resorts to find steep terrain, the BC community shares a love of wild landscapes, deep snow and great winters. Around the world, there are many backcountry festivals. Now it’s Australia’s turn. Join us to ski, ride or snowshoe, hear from inspiring speakers and see great locally made films, enjoy an outdoor ‘tailgate’ bar, and meet plenty of new friends. We don’t know what the weather will be like. But the Stoke is guaranteed’. This is a free event, thanks to the generosity of Falls Creek Cross Country, Bogong Equipment, Falls Creek Resort Management, Falls Creek Ski Lifts, Sweetwater Brewery, Everest Sports, Friends of the Earth, the snow media who have supported the event, Mountain Sports Collective and the many people who are offering courses, tours and clinics and our speakers. Previous Bringing the Mountain Pygmy Possum back from the brink.